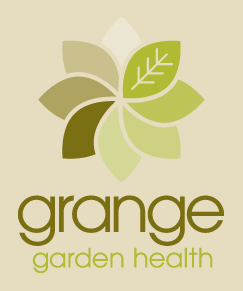 Grange Growing Solutions commenced in 1986 as Australian Black Peat Pty Ltd by Harry Grange, who is the sole Director. Harry provided a pre-blended Australian casing layer to the mushroom industry. This was the first Australian casing layer to be marketed and sold that used both an Australian sphagnum peat and black sedge peat in bulk and bagged form. In 1992 Simon Grange, Harry’s eldest son joined the company and is now the Chief Operations Officer. In 1995 Harry diversified and began manufacturing growing media and was a pioneer in the use of coir (coconut fibre) in potting mix. His aim was to efficiently and professionally provide a bulk or bagged product of excellent quality. In 1996 and 1997, Anna Grange (Chief Financial Officer) and Ben Grange (National Sales and Marketing Manager) joined the company to help manage the growth of Australian Black Peat. Grange Growing Solutions was subsequently launched in 1998 to separate the potting mix division from the mushroom casing. As the company expanded and out grew the Maraylya facility, Harry purchased 30 acres in Ebenezer (60km NW of Sydney) and in the year 2000 moved the potting mix division. The head office of the company remained at Maraylya until a new office block was built at Ebenezer. Simon, Anna and Ben jointly manage Grange Growing Solutions which has grown to become the largest potting mix manufacturer in NSW. In 2004 the company was appointed a distributor of Simplot’s Apex controlled release fertilizer which is imported from the U.S.
A few years later in 2008, Grange Growing Solutions took delivery of a fully automatic form, fill and seal bagging machine. This machine has further enhanced the contract packaging division of the company while aiding the growth of our own retail brands Home Gardener and Grange Garden Health. Our focus on quality and service has not changed since everything began back in 1986. We are quality assured by SAI global, NASAA (organic certification), and accredited by the nursery and garden industry of NSW & ACT which incorporates EcoHort.